As you know, I’m a fan of Douglas Adams, borrowing the “Don’t Panic” message and putting it in large, friendly letters at the beginning of my book. So it’s only fitting that I do something special for Towel Day. First off the predictable move: you can get a big Towel Day discount on The Value of Simple by buying through my e-commerce site and using the code TowelDay. Now until Friday only! “A towel, it says, is about the most massively useful thing an interstellar hitchhiker can have. Partly it has great practical value. You can wrap it around you for warmth as you bound across the cold moons of Jaglan Beta; you can lie on it on the brilliant marble-sanded beaches of Santraginus V, inhaling the heady sea vapours; you can sleep under it beneath the stars which shine so redly on the desert world of Kakrafoon; use it to sail a miniraft down the slow heavy River Moth; wet it for use in hand-to-hand-combat; wrap it round your head to ward off noxious fumes or avoid the gaze of the Ravenous Bugblatter Beast of Traal (a mind-bogglingly stupid animal, it assumes that if you can’t see it, it can’t see you — daft as a brush, but very very ravenous); you can wave your towel in emergencies as a distress signal, and of course dry yourself off with it if it still seems to be clean enough. –Douglas Adams, The Hitch Hiker’s Guide to the Galaxy. 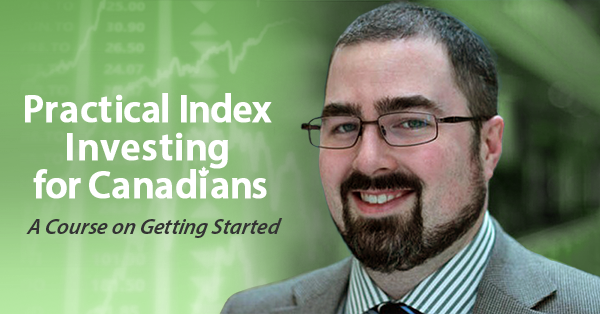 It has not been a secret that over the past several months I have been working on an online course to complement The Value of Simple and help people get set up as successful do-it-yourself investors. It was almost a year ago that I posted the first draft of the course outline. Since then I’ve given more library talks, a guest lecture for Ellen Roseman’s UofT course, and had more conversations with experts and potential students on how to better refine the course. Most importantly, I’ve done a lot of reading on delivering an online course effectively, and changed my approach to it. However what I have not done is finished the bloody thing. So here is my towel: I have the structure, I have a few modules done and uploaded, I have a history of building and delivering courses and workshops in science and personal finance. If you believe that I have just mislaid the rest of the course you can buy it right now at a huge discount, and help test it and shape its evolution as it comes together. Click here to go to the course page and enroll! 1. Roughly because though the final price will likely be $279, I’m very tempted to make the final price $246 because you can even! “Just” can be a dirty little word. Sandi Martin has done that rant a few times, most recently on Twitter, and Chris at Rags to Reasonable incorporated it into his love letter to financial planning. To put it simply, not everyone has the background and expertise for all problems to be easy, or for short-hand to make sense. “Just open a brokerage account and buy 3-4 ETFs that give you global diversification” is good advice, in that it is something someone could act on and would be in their best interest. But unless they already have a brokerage account and experience buying stocks or funds and the associated skills and knowledge, the “just” is deceptive as to how hard that is to do the first time. 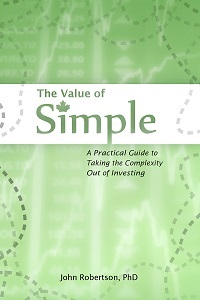 Now to toot my own horn, that’s exactly why I wrote The Value of Simple the way I did, because so many other guides take for granted that you already buy and sell stocks or mutual funds and they just have to convince you to shift your focus to a slightly different set of things you already know how to buy. But making the implementation seem like it should be oh-so-simple can make people feel bad for asking how they’re supposed to go about it. But it’s hard to see that when it’s something you know and know well. So let me give you an example from science: just take a Fourier transform, and solve in frequency domain (or in imaging, k-space). This is rather simple, rather helpful advice that can solve a number of life’s problems (or at least, physics problems). But this advice is probably completely unusable unless you’re about three or four years deep into an undergraduate physics or engineering education. Indeed, it may not even make sense without some background knowledge in the field (are those words?). For I would wager the majority of Canadians out there, acting on “just buy a few ETFs” is just as difficult to implement as “just take a Fourier transform” without doing some further research. (Fortunately, that further research in the first case will not involve several years of undergraduate math and physics, and can be done with a single book, pulling up a few dozen blog posts, hiring some coaching/educational help, or taking a course or two). I was one of the first to sign up for an Air Miles card when they were offered at my local Dominion over 20 years ago. All I had to do was carry around a little piece of plastic and shop like I normally did (with maybe a few extra rounds of stocking up when bonus offers came around) and I’d get free movie tickets? Sweet deal. And of course, over the years the points got devalued, and the bonus offers weren’t as good so they didn’t accumulate as fast. Then the deathknell: air miles cash points. I should have read the tea leaves and switched over right away, but I didn’t, because for a short time movie passes were still an option. Quite rapidly over the last two years, air miles have stripped away virtually all of the things you could use your points on. And they don’t allow you to convert your stranded dream points to cash points, so they’ve effectively become worthless. There are some news stories out this week making a splash about how air miles points will start expiring soon if they’re old, but really, it’s already happened. If you have a big stockpile of “dream” points, go ahead and see what you can get, but it will be a frustrating experience on many levels. Not only because all the stuff you may have got or been saving up for before (gift cards, movie passes, zoo passes, electronics, magazine subscriptions) is gone, but also because of how slow the air miles site is. Plus it’s all cluttered up with stuff to buy with cash rather than redeem your miles for, which is highly frustrating. I don’t know if that’s just a bait-n-switch (I clearly clicked on the section for redeeming my points, air miles, so why are you pitching me on ways to spend cash and get more stupid points? ), or if it’s to have something in those categories because otherwise the possible redemptions are really sad looking, or if they just don’t even know what they’re doing over there any more. How sad? Under house & home there are zero items you can redeem your points for unless you are a Gold member or want to use one of their terrible, scammy “cash + points” deals. Under electronics there is one item. Kitchen and dining has two, one of which is a hideous woodgrain grain mill, something I know is at the top of everyone’s kitchen wishlist </sarc>. Personal care & lifestyle has a few items left… but only two are under 2000 points and again, weird, underwhelming items no one would want. So whether they officially take them away in the coming weeks or not is just semantics — if you weren’t paying attention (and I wasn’t), your air miles have already expired. I think this devaluation of points and the effective elimination of the “dream” option was a huge mis-step for air miles. There’s no longer a reason to bank points, which means people don’t feel good about getting their statements and seeing ridiculous amounts on there. Instead they’ll save a few bucks here or there, $10 at a time, and the program will lose its ability to act as a loyalty/incentive/draw. Making points only usable for cash makes the value completely transparent, and that doesn’t work in their favour (the return is poor relative to other points plans). The program is so bad now that it’s working in reverse: instead of a store offering air miles being a perk and a reason to shop there over competitors, a store offering air miles is just a sad reason to keep air miles alive. I don’t shop at Pharma Plus because they offer air miles — I haven’t cut up my air miles card because I still shop at Pharma Plus. When MoneySense offered me bonus air miles to renew my subscription (a subscription I got in the first place by redeeming miles which is no longer an option), I wanted to write in and ask if they could just stuff the air miles and give me a few bucks off instead. In part because they burned us, air miles are a bit of an annoyance, and in some cases I’d rather avoid stores that offer them. And as a final note: don’t transfer your points to someone else. They “offer” the ability to transfer your points to another person, but it is a scam. They charge 15 cents per point to do it, when the points are only worth about 10 cents each in the first place! If you have points expiring, trying to combine with someone else will not work out for you unless you just need a few more points to reach some threshold for redemption (not that there’s much left to redeem for). You are currently browsing the Blessed by the Potato weblog archives for May, 2016. Blessed by the Potato is proudly powered by WordPress ♦ Entries (RSS) and Comments (RSS). ♦ 23 queries. 0.374 seconds.